Provide a baseline understanding of soil, groundwater and surface water contamination and develop reasonable and practical guidance. 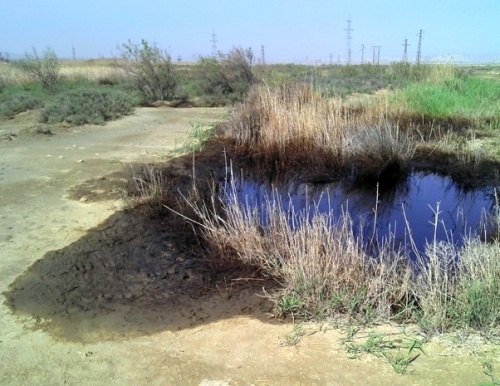 Provision of expert consultancy in connection with the management of potential impacts from historic soil, groundwater and surface water contimination at the site of a major construction programme. Previous assessment data were reviewed and revealed that pre-existing baseline contimination at the site was very low, except for localised areas of historical free-phase oil contamination that had originated from third party releases off-site. The extent and potential mobility of the residual contamination within and close to project areas was confirmed by a further survey exercise undertaken in close collaboration with the client and personnel from a local analytical laboratory. Based upon these data, a detailed quantitative risk assessment (DQRA) to define soil management criteria was undertaken, which were derived to prevent any unacceptable risk from this contamination to construction and other site staff, the general public, the groundwater environment and nearby surface water bodies. These were used to prepare soil and groundwater management procedures for use through the project construction phases. The project was designed to provide the client with a baseline understanding of soil, groundwater and surface water contamination prior to project commencement and to develop reasonable and practical guidance for use by the project contractors to support safe and environmentally appropriate groundworks throughout the project. Baseline data were also used in environmental impact assessment. Expert consultancy on soil, groundwater and surface water (including sediment) contamination matters. DQRA for human health and water environment (surface water and groundwater). Contribution to Environmental Impact Assessment. Preparation of relevant procedures for groundworks contractors. Peer review of third party activities and documentation.